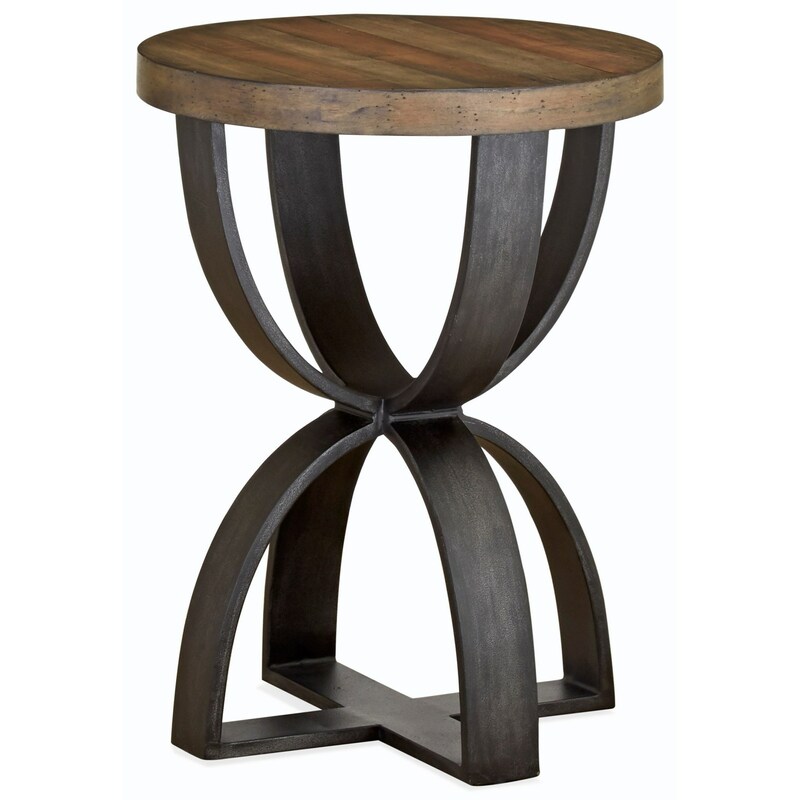 This end table's balanced, geometric design brings a spark of eye-catching intrigue to your living space, blending into your decor with its blend of richly finished wood and distressed iron finished metal while standing out through its utilization of boldly curved edges and intersecting straight lines. The Bowden Rustic Round Accent Table of Solid Wood by Magnussen Home at VanDrie Home Furnishings in the Cadillac, Traverse City, Big Rapids, Houghton Lake and Northern Michigan area. Product availability may vary. Contact us for the most current availability on this product. 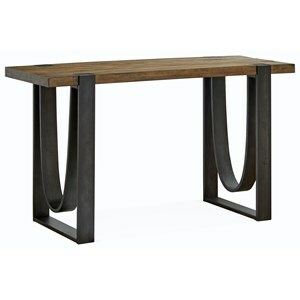 This collection of occasional tables exudes rustic charm and tasteful symmetry. 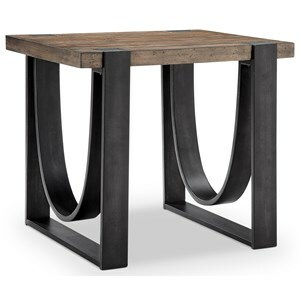 With a rich finish on top and distressed iron below, these tables meld two complementary tones and materials, having been crafted from solid wood and metal. 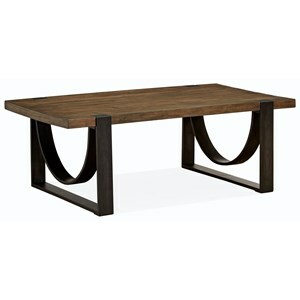 Built to last the memories you want to make with them, these occasional tables are also meant to intrigue the eye with bases that balance curved and straight edges. The Bowden collection is a great option if you are looking for Rustic furniture in the Cadillac, Traverse City, Big Rapids, Houghton Lake and Northern Michigan area. Browse other items in the Bowden collection from VanDrie Home Furnishings in the Cadillac, Traverse City, Big Rapids, Houghton Lake and Northern Michigan area.